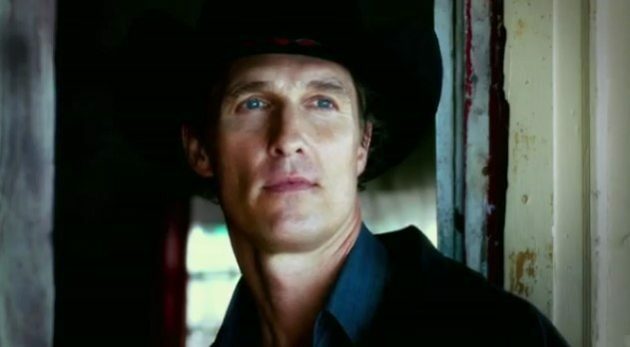 The William Friedkin-directed, Matthew McConaughey-starring, hit-man-in-the-heart-of-Texas thriller Killer Joe has already enjoyed its share of festival notoriety for the sexualized violence that earned the film an NC-17 rating. Now comes a trailer that sanitizes for mainstream audiences what Friedkin and Co. won't. Emile Hirsch, Thomas Haden Church, Juno Temple and Gina Gershon co-star in the tale of a young man who attempts to settle a debt by getting a cop moonlighting as a hit man (McConaughey) to off his mother for the insurance money. Guess how poorly that goes? Tracy Letts — who last collaborated with Friedkin on the psychodrama Bug — adapted the film from his play of the same name; Killer Joe opens July 27 in all its deep-fried NC-17 glory. I was looking forward to this but idk, the trailer was somewhat disappointing. It looks a bit too generic. Let's hope it's just marketing. And yet gratuitous high impact violence gets an R rating. Go figure.